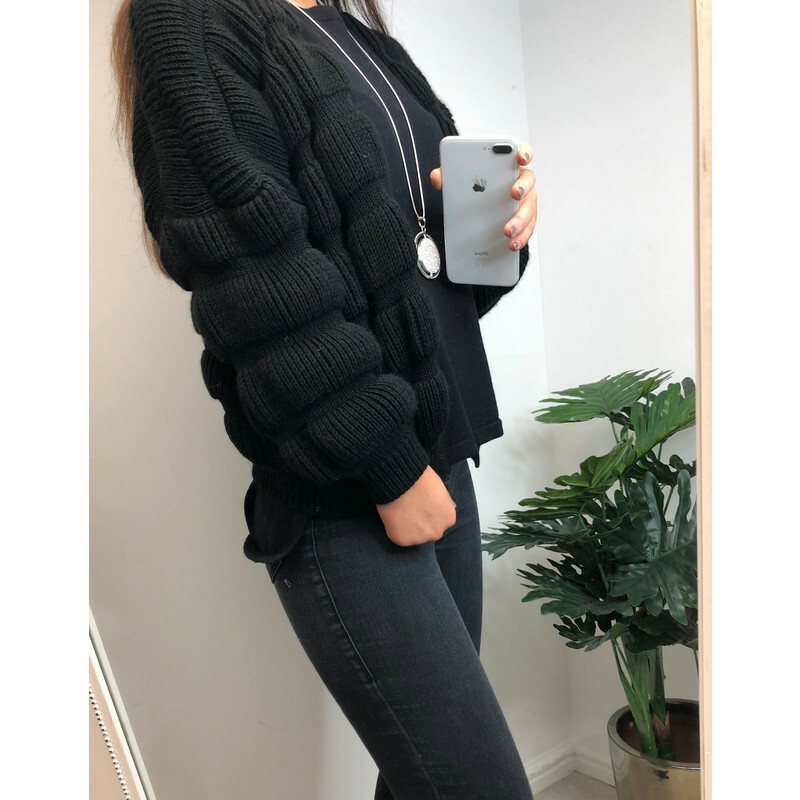 Casey Chunky Knit Cardigan is great to wear on those cold winter lazy days or casual with a pair of jeans. 80% acrylic 15% nylon 5% lana. Eash at 30 degrees. Do not tumble dry.